6ix-packs offer artists an exciting series of pastels to add to their existing collection, or beginners an artistic venture into the medium. These unique sets present a carefully chosen palette of 72 lightfast colors with no duplicates. 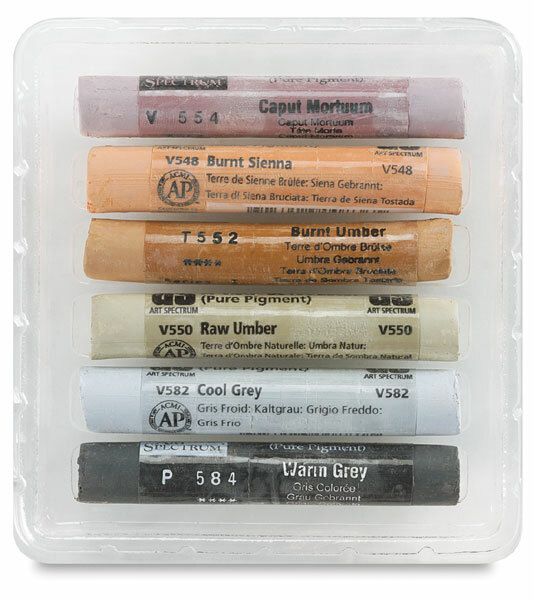 Caput Mortuum 554V, Burnt Sienna 548V, Burnt Umber 552T, Raw Umber 550V, Cool Gray 582T, and Warm Gray 584P.